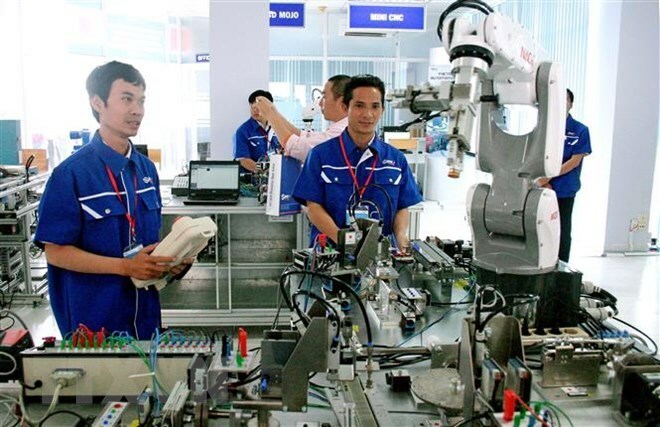 Vietnamese startups were invested in to the tune of 900 million USD in 2018, tripling the previous year’s investment, according to a report recently released by Topica Founder Institute (TFI), a startup accelerator programme in Vietnam and Thailand. VNG Corporation became Vietnam’s first ever unicorn tech startup and was valued at one billion USD by the World Startup Report in 2014, a figure expected to rise in 2018. Meanwhile, Yeah1 became the first media company in Vietnam to be listed in the stock market with valuation of 500 million USD. Its ambition is to become the first unicorn startup in the communications industry in Southeast Asia in the next three years. Director of TFI Mai Duy Quang described 2018 as a successful year for Vietnamese startups. The five most profitable fields for startups were financial tech (Fintech), electronic commerce (E-commerce), technology services related to tourism (TravelTech), logistics and education tech (Edtech), he said. Fintech topped the list with eight deals worth 117 million USD, followed by E-commerce with five deals worth 104 million USD and TravelTech with eight deals worth 64 million USD. Logistics and Edtech respectively attracted three and four deals worth a combined 50 million USD. Domestic funds, including Vingroup Ventures, Viet Capital Ventures and Viet Partners, also made big investment in startups, Quang said. In early 2019, TFI and Singapore-based Insignia Venture Partners signed an investment cooperation agreement, under which Insignia will invest at least 50,000 USD in each graduated startup from TFI. This is the first collaboration of its kind in Vietnam, according to TFI.